I know, I know, I’m such a child for putting my tree up so early, but I do it on the 1st December every year and I’m not about to change that anytime soon! My tree always coordinates in with my room n the vintage-esque style, and features lots of red and white. I like to think of it as a ‘country cottage’ type theme. If you haven’t seen my room you can see what it looks like in my Room Tour. Most of the decorations have been collected over the last couple of years since redecorating, but I also picked up a few from Tesco last week on 3 for 2. I’d recommend checking out the supermarkets as they have some gorgeous things in at great prices. 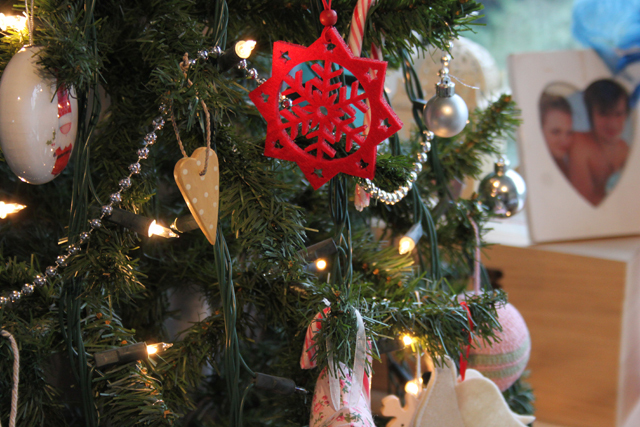 A lot of the stuff on my tree was from John Lewis last year, and although its all lovely stuff, I wish I’d gone elsewhere for something cheaper! Lights – Can’t remember! Possibly Asda too. 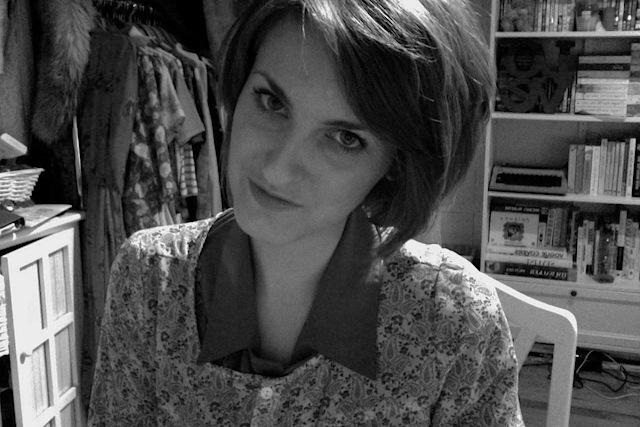 Also, slightly off topic, today I had my hair cut. Its a little shorter than I usually have it cut, but I still love it and it looks so much healthier. I’ve had a lot more layers cut into it and a shorter fringe. I love having a bob back. You’ll probably notice me wearing more collared shirts and blouse as I love wearing them with a shorter cut. Have you got your decorations up yet? 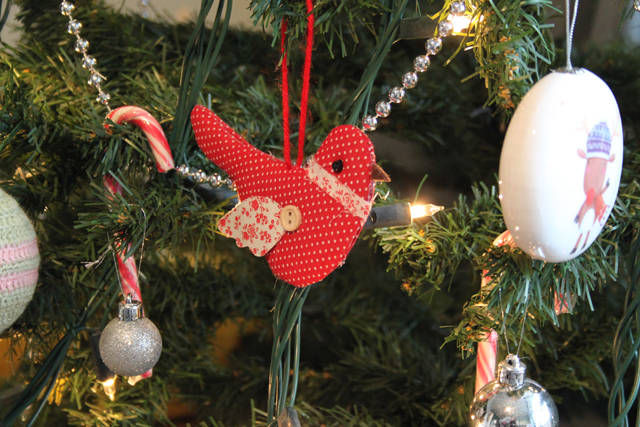 What colours will you be decorating your tree? 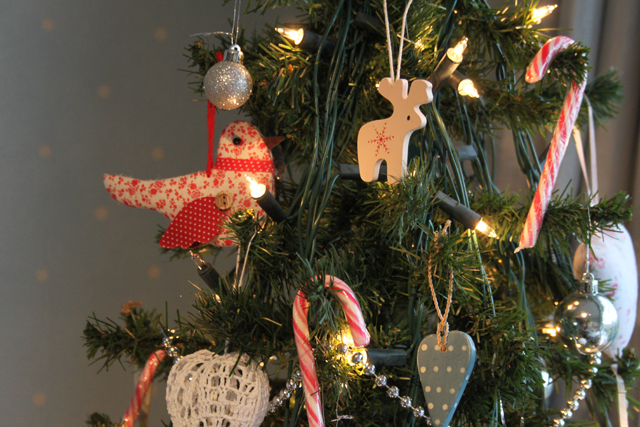 I love that little wooden reindeer, so cute! 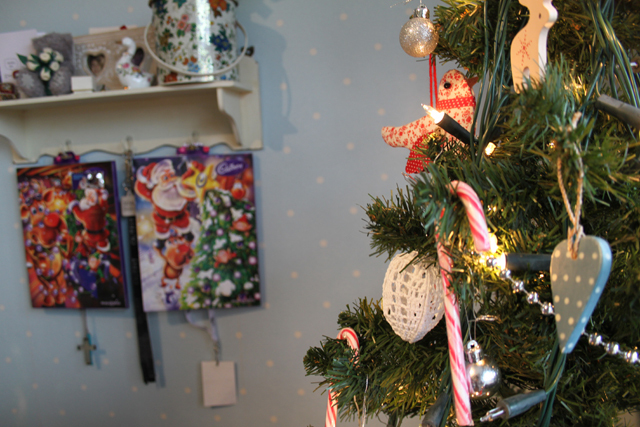 Your tree really looks lovely, I love the little candy canes! Also really like the new hair cut! Your tree looks beautiful! Ours will be going up this weekend too, as well as present wrapping and a xmas movie! 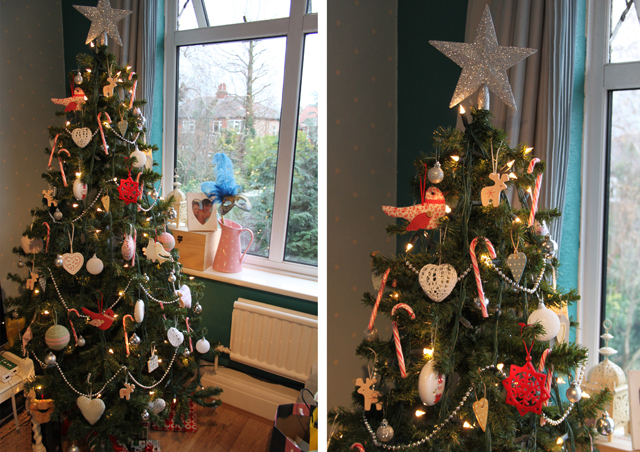 wow, we don't put our tree up until mid-Dec, I never realised so many people put theirs up now! Your tree looks soooo lovely though!